Ride 5 hours in 2 weeks to receive a reward & entry to win a Cervelo bike! Whether you ride on roads, flow through trails or commute through traffic, just ride five hours in two weeks and reap the rewards. Complete the British Cycling Ride Five Challenge and receive a free British Cycling phone pouch, a digital badge and the chance to win a Cervelo R3 Disc road bike or a Focus Raven Max Pro mountain bike. Choose whether to pedal to the medal and complete in one ride, or split the hours up and combine over time. Plan rides with friends or go it alone, join your club ride or enter an event, so long as you ride five hours, you'll be rewarded. Plus, don't forget to share your rides with us using #BCRide5 on Instagram, where we'll be giving away a British Cycling Ride membership every day of the challenge. 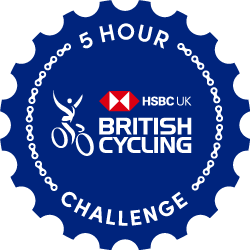 Sign up to the British Cycling Ride Five challenge, join the British Cycling Club and share your journey with us using #BCRide5. Be sure to visit British Cycling to learn more. All cyclists who complete the challenge will receive a British Cycling phone pouch in the post. 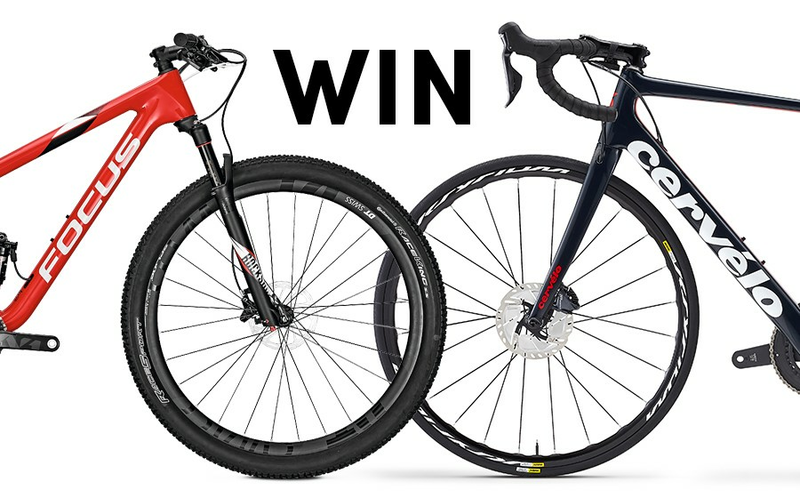 One lucky finisher will have the choice of a Cervelo R3 Disc road bike or a Focus Raven Max Pro mountain bike, plus lots of British Cycling goodies. 1) all successful participants will receive a British Cycling phone pouch, perfect for protecting your phone whilst out riding, plus, 25% off any British Cycling membership. 2) One lucky finisher will have the choice of a Cervelo R3 Disc road bike worth £2999 or a Focus Raven Max Pro mountain bike. All cyclists will receive a digital finishers badge for their trophy case when completing the challenge. The Challenge starts and ends based on each participants local time zone. GPS and virtual rides will count towards the Challenge goal. For more information about virtual activities, please visit Strava's Support Center. Manual entries, private activities, and non-virtual trainer rides will not count toward your challenge effort. The content in this challenge is the sole expression of British Cycling. To learn more about how to use Strava, please visit the Strava Support Center or email support@strava.com. Please contact British Cycling for all other inquiries. Prize eligibility and fulfillment is at the sole discretion of British Cycling. Upon completion of the challenge, each finisher will be eligible for a free British Cycling branded LokSak phone cover and entry into a prize draw to win the choice of a Cervelo R3 Disc or a Focus Raven Max Pro mountain bike. Challenge finishers will receive an email containing a link to a page on the British Cycling website, where users will be required to enter their details to claim the reward. All entrants must be over 18 years old and must abide by the prize draw terms and conditions. Participants must reside in the UK in order to be eligible for prizes. 25% discount off any membership only applicable to new joining members. Code will be sent via email.